MOT Type 1 Granite is an aggregate standardized according to Ministry of Transport specifications. It may also be referred to as DTP Type 1. 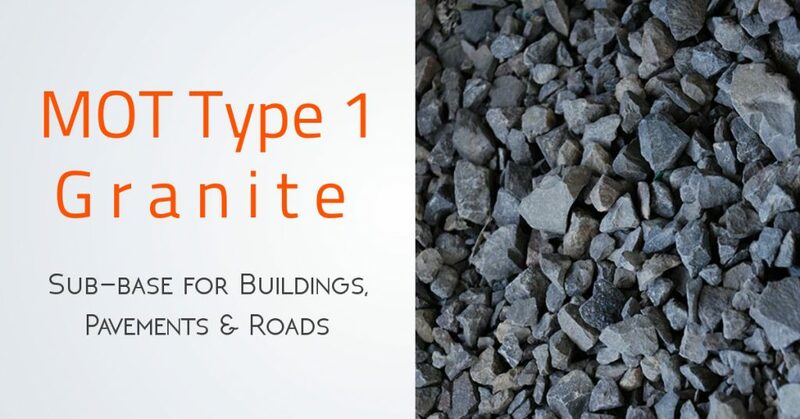 MOT Type 1 granite is often used in public construction as a sub-base and can be found in roads, pavements and other structures. What is MOT Type 1 Granite? This type of aggregate is usually formed of pieces of granite and limestone that are smaller than 40mm. The aggregate is made up of irregular pieces but is sieved to remove dust. This type of aggregate may contain pieces of clean brick and recycled concrete from some suppliers. What is MOT Type 1 Granite Used For? MOT Type 1 Granite is usually used for a sub-base for building works. The Ministry of Transport has approved this material for use under motorways as it is easily compacted and good for load bearing. However, this type of aggregate is also suitable for other uses such creating a sub-base for a new build, underlay for an asphalt driveway or roads and pavements. MOT Type 1 granite is ideal for use as a sub-base because it will take heavy loads and can be flattened to create an even surface for building on. While you could use concrete as a sub-base, granite is a more environmentally friendly solution. 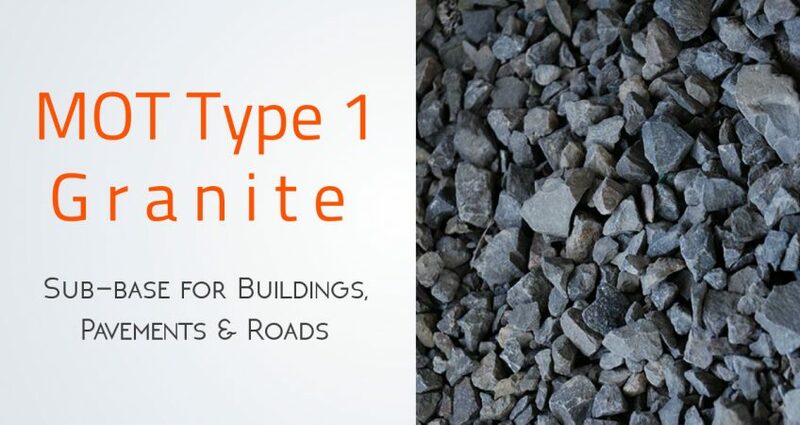 MOT Type 1 granite is also used as a foundation for pavements as the small gaps between the pieces allows for shifts in temperature that may cause the asphalt above to crack. By allowing for this subtle movement, the MOT Type 1 layer reduces the instance of cracking on the pavement above and therefore creates a longer wearing surface. The Ministry of Transport has approved and designated MOT Type 1 granite as its material of choice for roads and motorways. This is because the material is easy to use and can take heavy loads. Tarmac or asphalt cannot take these loads by itself so is poured on top of the sub-base to create the smooth road surface suitable for modern cars and other vehicles. MOT Type 1 granite isn’t just good for larger projects, you can also use it as a sub-base for a patio or driveway. Just as the small gaps between the pieces allows for subtle movement beneath the surface, using this type of aggregate also allows for better drainage beneath the paving stones once they are laid. Just as 10mm shingle is a popular choice in the garden, granite can add a unique colour to your borders and work in just the same way. You may also wish to use the granite as a way to form walkways, though due to the sharp edges, you may still wish to cover the top with the more rounded shingle for more comfortable walking. Granite can also be used as a base for water features, but, as before, you need to make sure you put down a waterproof lining first. MOT type one granite costs £25 per tonne + VAT. Are you based in Essex and in need of MOT Type 1 Granite? Then, give TJC Transport a call today!